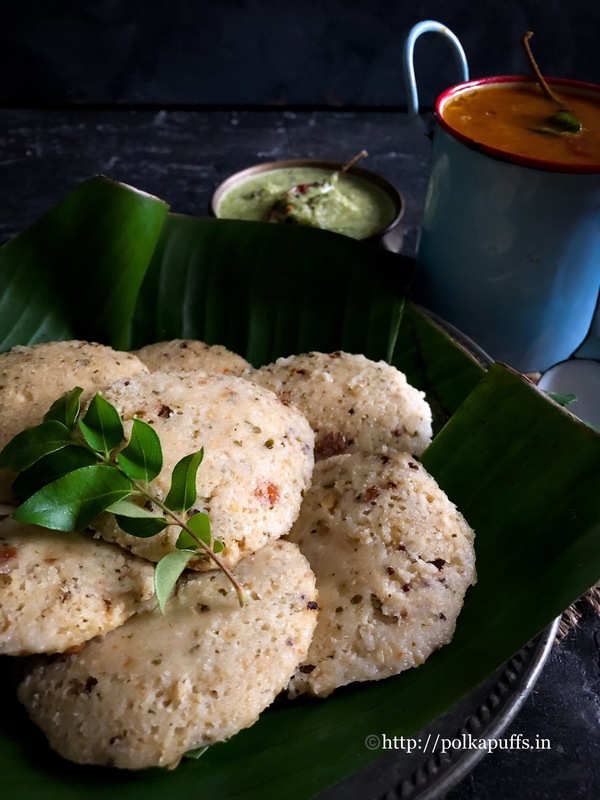 Instant Oats Idli | Gluten free Oats Idli recipe is light, nutritious and makes for the perfect breakfast or brunch. This recipe is instant and very similar to instant rawa Idli with some variations. 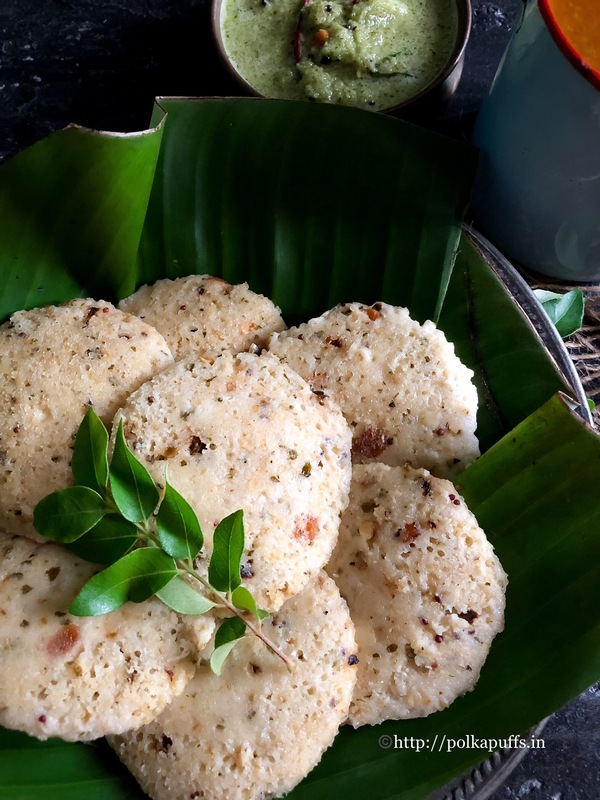 Instant Oats Idli | Gluten free Oats Idli recipe always makes soft and very fluffy idlis. It is definitely looking like that, is it not?! I have made this 3-4 times in the past 6 months, usually on weekends when brunch seems like the way to go 😉 My hubby who is not fond of idlis too much, approved this one. That definitely gives me another option for meals. On that note, have you tried my homemade Idli batter recipe? It is no-fail and absolutely spot on! 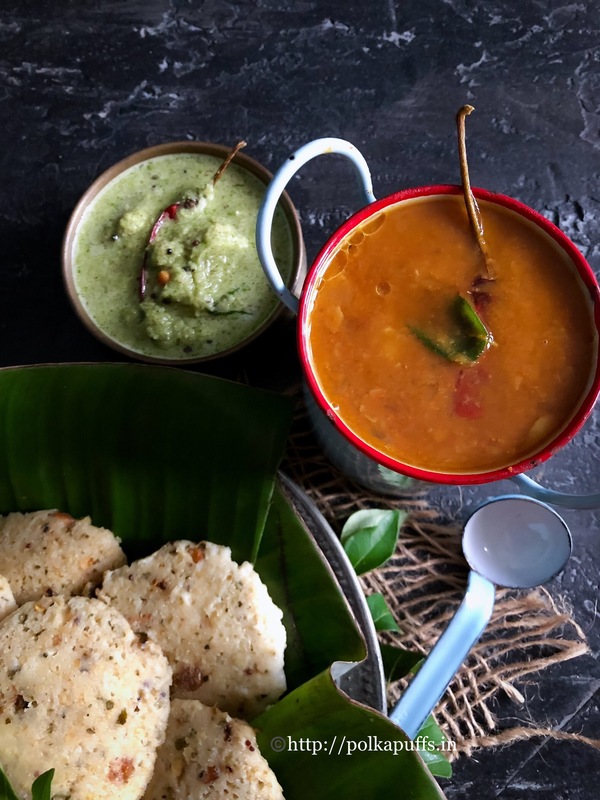 Instant Oats Idli | Gluten free Oats Idli recipe tastes best with my instant tiffin style sambhar and green coconut chutney. 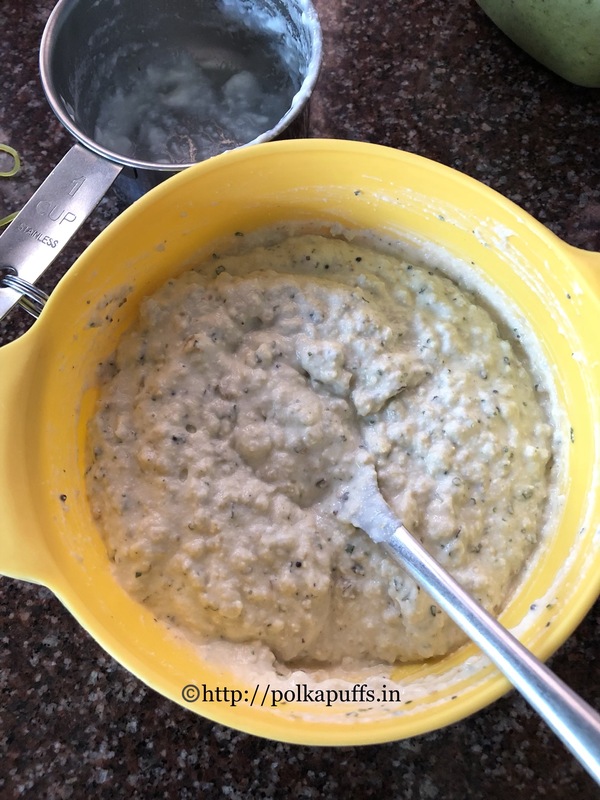 You can also try my Udupi Style White Coconut chutney recipe. 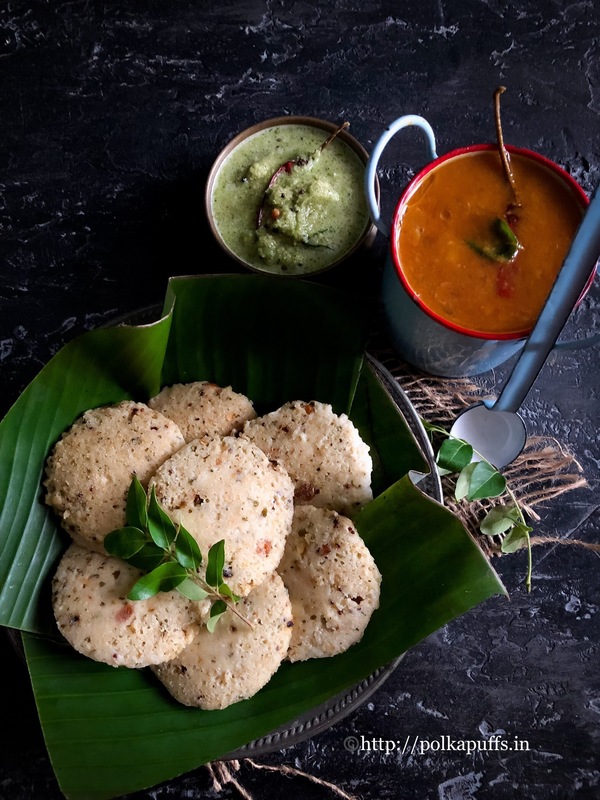 Or even my tomato onion chutney pairs fabulously with these idlis. 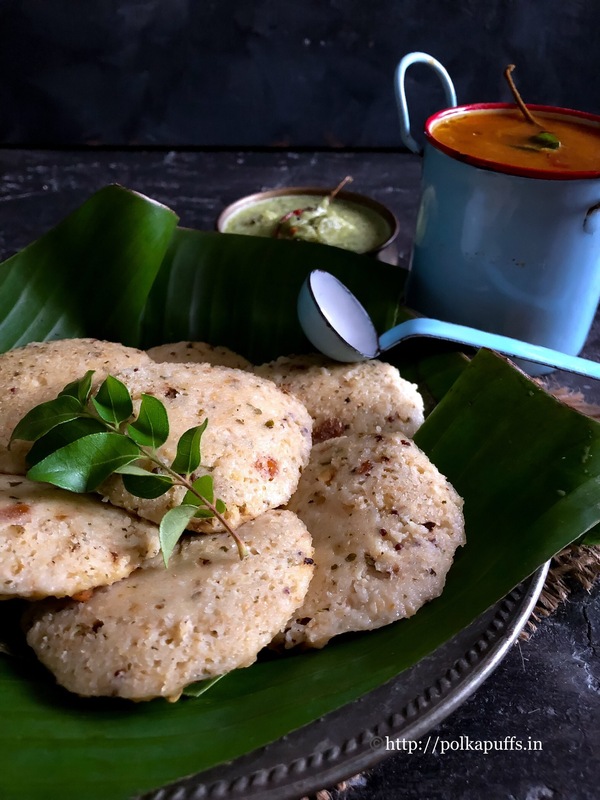 Instant Oats Idli | Gluten free Oats Idli recipe is very versatile. You can add veggies of your choice or temper it with your favorite spices. But make sure you add ginger and curry leaves simply because they lend an amazing flavor and aroma. Let’s make these instant idlis. Heat a pan, dry roast the oats for a couple of minutes or until they firm up a bit. Ensure they don’t turn brown. Cool them completely and blend them into a slightly coarse powder. Set it aside. Heat oil in the same pan. Once it’s hot, add hing/ asafoetida, mustards seeds, urad dal, chopped curry leaves and Chana dal. Let these splutter for a few seconds. Add grated ginger and chopped green chilies. Sauté for a minute. Add the semolina. Sauté for 2-3 minutes but the color must not change. Turn off the gas. Remove this mixture in a mixing bowl and let it cool down completely. Then add the curd. Mix well. Next, add the powdered oats. Again mix well and season with salt. Add chopped coriander and mix well. Add water and adjust the consistency. Let this batter sit for 10-15 minutes. Now, just before steaming the idlis, add baking soda. Mix well until the batter becomes a little frothy. Now add the batter in greased Idli plates and steam for 12-14 minutes. 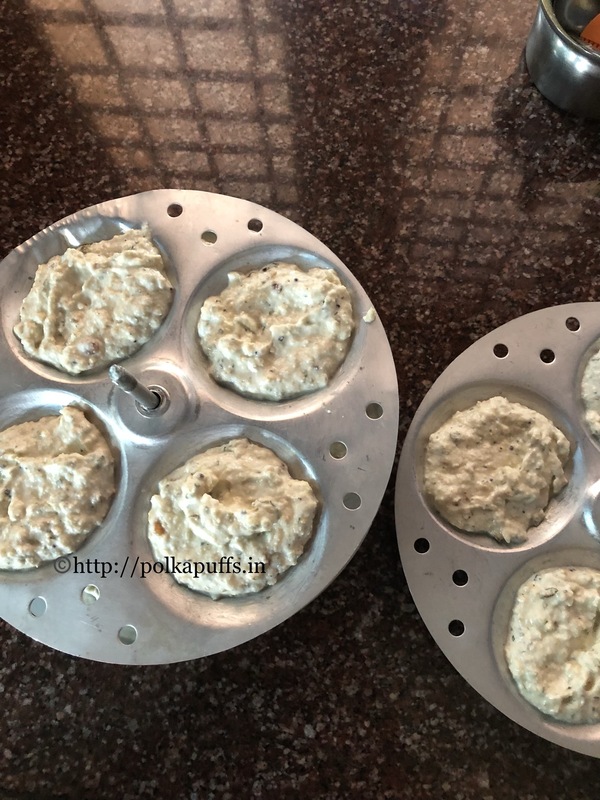 Let the idlis rest for 5-7 minutes before you unmould them. Serve them piping hot with sambhar and chutney of your choice. Instant, healthy and delicious Oats Idli are the perfect option for breakfast or a quick brunch. This is a gluten free meal option which you can even pack for a lunch box. Pair it with some Sambhar and Coconut Chutney. Heat a pan, dry roast the oats for a couple of minutes or until they firm up a bit. Ensure they don't turn brown. Heat oil in the same pan. Once it's hot, add hing/ asafoetida, mustards seeds, urad dal, chopped curry leaves and Chana dal. Let these splutter for a few seconds. You can added veggies of your choice to this batter. You can added cashew nuts to the tempering too. Roast the semolina and oats well otherwise the idlis will be very sticky. Pin it here for later?! © Shreya Ashish Tiwari and PolkaPuffs!, 2015-2019. Unauthorised use and/or duplication of this material without express and written permission from this site’s author and/or owner is strictly prohibited. Excerpts and links may be used, provided that full and clear credit is given to Shreya Ashish Tiwari and PolkaPuffs! with appropriate and specific direction to the original content.